2.25 mil. 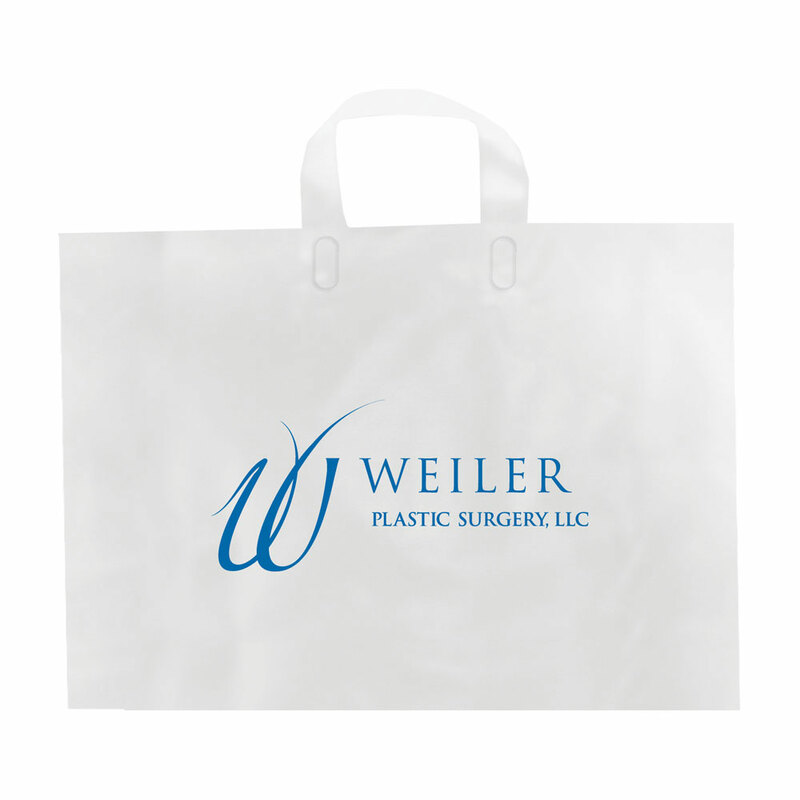 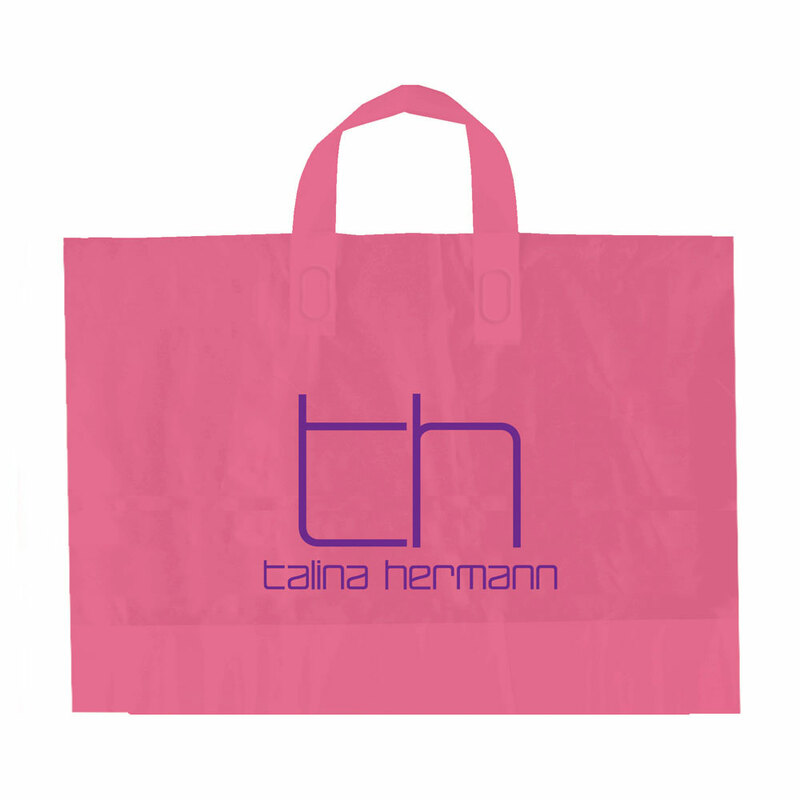 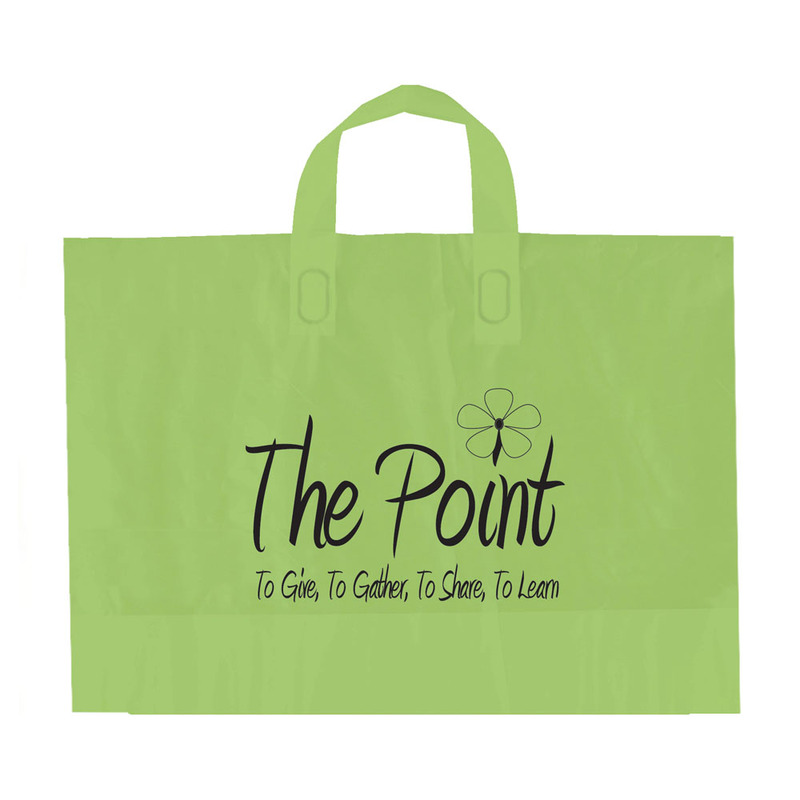 High density frosted plastic bags with fused soft loop handle and bottom gusset. Contains up to 15% recycled content.